From one proud Brooklyn resident, to my current and future neighbors, it is my pleasure to say – Welcome Home! It has been said that one in every seven Americans can trace his, or her, family roots to Brooklyn. Today Brooklyn is home to the newest Americans who proudly speak in one of many beautiful languages. It is an everyday occurrence to walk down the street and hear Creole, Arabic, Spanish, Chinese and Korean. 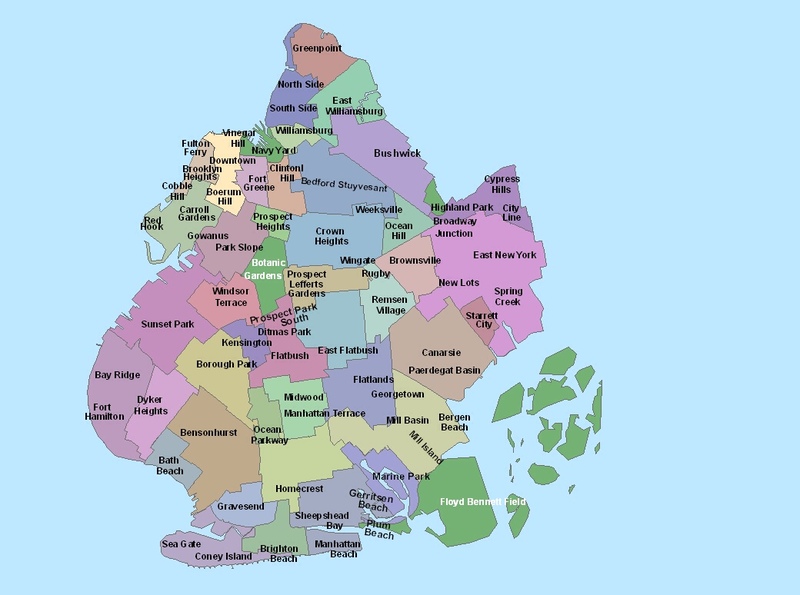 As far as its size, if Brooklyn were still independent, it would be the fourth largest city. Since this is not the case, we Brooklynites will settle for the distinction as the largest of New York City’s five boroughs and home to 2.3 million residents. In 1794, Brooklyn was a small village comprised, largely, of 100 homes that were “chiefly along the shore or scattered without a plan.” Located across the East River from Manhattan, Brooklyn was the portal through which food grown on Long Island passed to reach New York City. Brooklyn’s growth was intertwined with New York City’s growth. In 1801, the United States Navy opened a shipyard on Wallabout Bay. Four years later, in 1814, Robert Fulton began a steam-ferry service across the East River; allowing wealthy businessmen to live in Brooklyn Heights and commute to work. The turn of the century, also brought with it an influx of Irish immigrants who would call Fort Greene their home. Many of the borough’s newest immigrants found work in the factories that opened along the waterfront and in the new Navy Yard. In 1825 the Erie Canal was completed and with it came another surge of industrial and economic expansion. Many residents of New England moved to Brooklyn. Over the next 25 years the small town emerged into a city with smoking factories along the river and gas lights along public streets. Some additional notable firsts included a public school system and an impressive city hall. Between 1840 and 1845, Brooklyn’s population doubled to nearly 80,000. This increase was brought about by the first major wave of European immigrants. In 1855, nearly half of Brooklyn’s 205,000 residents were foreign-born; half were Irish and the rest were divided evenly between families from Britain and Germany. 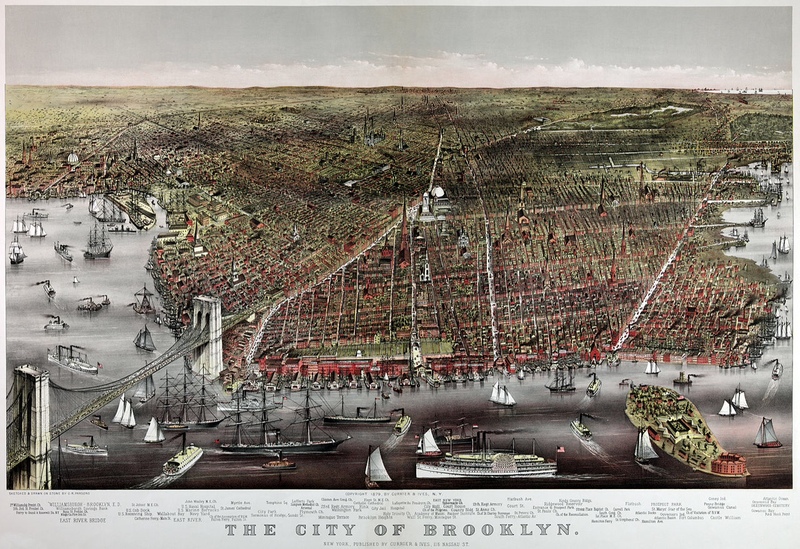 By 1860, Brooklyn had become the third largest city in the United States. A second wave of immigrants arrived in the late 1880s. The borough’s newest residents hailed from Eastern Europe and included Russian Jews, Italians, Poles, a mixture of Swedes, Norwegians, Danes and Finns. By the end of the 19th century, more than one million people lived in Brooklyn and more than 30% were foreign-born. In 1860 40% of Brooklyn’s wage earners worked in New York City. Ferries transported more than 32 million passengers per year from Brooklyn Heights to lower Manhattan. Eventually the demands for transportation could not be sustained. To alleviate the pressure, plans to build a bridge were proposed. 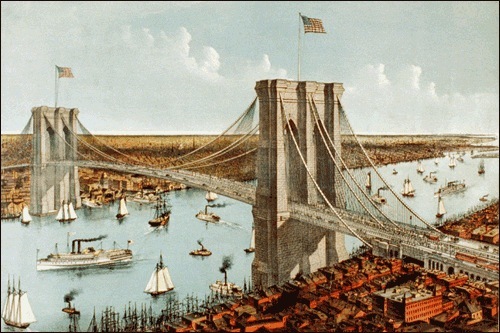 In 1865 The New York Bridge Company was founded to construct the Brooklyn Bridge. This project was completed in 1883. With a new bridge in place, many more people came into Brooklyn including: immigrants seeking refuge from the high rents and small apartments in Manhattan. The city of Brooklyn expanded and would eventually encompass all of Kings County, and itself being annexed by New York City in 1898. During the early part of the 20th century, Brooklyn realized a population explosion. There were innovations to transportation which meant new bridges, trolleys, elevated railroad and subway lines that connected to the outer reaches of the borough. The Williamsburg Bridge was completed in 1903, the first subway line was thrust under the East River in 1908 and the Manhattan Bridge opened in 1909. With each new expansion, Brooklyn saw new opportunities for settlement and development. Rural Brooklyn was slowly fading away. By 1880, Brooklyn was one the nation’s leading manufacturers of processed goods. The borough’s largest industry was sugar refining which produced more than half the sugar consumed in the United States. There were also dockyards, gas refineries, book publishers, ironworks, slaughterhouses, sweatshops, clocks, pencils, glue, cakes, beer and cigars. Work was always readily available, but there were some safety hazards to consider. Between World War I and the 1930s, thousands of African-Americans from the south, filtered into Brooklyn’s neighborhoods. 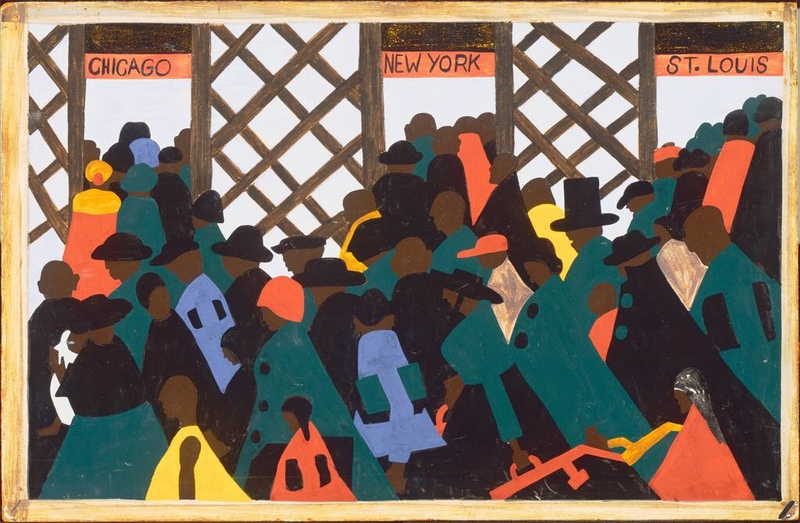 They were among the hundreds of thousands who moved to northern cities during the “Great Migration,” and by 1930, more than 60% of the African-Americans in Brooklyn had been born outside the borough. In 1936 when the “A” train was extended from Harlem to Brooklyn, many left Harlem in search of better lives and less expensive housing. Thousands of Puerto-Rican immigrants also made Brooklyn their home. The trip to America took five days by steamship but, for many, the journey was well worth the sacrifice. One life-altering event was the stock market crash of 1929. Thousands of workers lost their jobs. Bread lines, and Salvation Army food stations, became familiar sights. The Depression ended when the United States entered World War II. When the soldiers returned from war, their communities had already begun to change. For decades Brooklyn was a chief supplier of the country’s industrial needs. However, by the 1950s Brooklyn’s industrial energies started to dwindle. Manufacturing plants moved to other cities in search of cheaper locations. Brooklyn Ports became less activate due to the emergence of larger container ships that required deep harbors. Economic dislocation and the availability of government-sponsored home loans lured the middle class away from the city to the suburbs. They left in large numbers for Queens, Nassau County, Staten Island and New Jersey. This also caused a shift within the borough too. Entire Jewish communities left their old neighborhoods to move to Flatbush, Borough Park, Eastern Parkway and Brighton Beach. Many Italian families relocated to Bensonhurst and Gravesend. Historians would report that one “final” blow came with the beloved Brooklyn Dodgers relocated to California. Here were the results of these shifts: neighborhoods that were once vibrant fell into disrepair, decay and poverty. 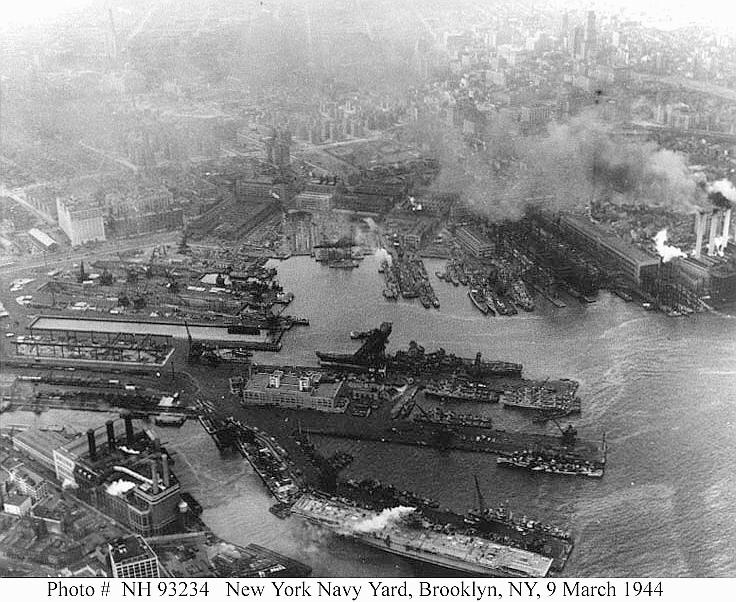 Manufacturing fell by 50% between 1954 and 1990 and the Brooklyn dockyards were mostly abandoned. In 1966 the Brooklyn Navy Yard Closed. These challenges were further complicated by the blackout of 1977. The power failure led to widespread looting and arson; entire neighborhoods that were (now) predominately African-American were devastated. Several blocks of the main Broadway shopping district in Bushwick were torched. One-third of the remaining stores closed immediately. Within a year, 40% of Brooklyn’s commercial and retail operations went out of business. Despite the challenges of the 1970s and early 1980s, the last decades of the 20th century would usher in a revival of Brooklyn’s fortune. With this shift, crime began to decline, and neighborhoods such as Brooklyn Heights, Fort Greene and Clinton Hills emerged. The Brooklyn Academy of Music drew crowds from Manhattan and the Navy Yard began to redevelop into a huge industrial park. Skyrocketing rents in Manhattan created new communities in DUMBO, Williamsburg and Greenpoint. New waves of immigrants continued to make Brooklyn their home. Their wonderful accents and exciting culture added a new sense of excitement and complexities to staid Brooklyn neighborhoods. Today Brooklyn is home to thriving immigrant communities from the Caribbean, Latin America, the former Soviet Union, the Middle East, China and Korea. Brooklyn continues to draw its residents, and a great deal of its energy, from across the world.